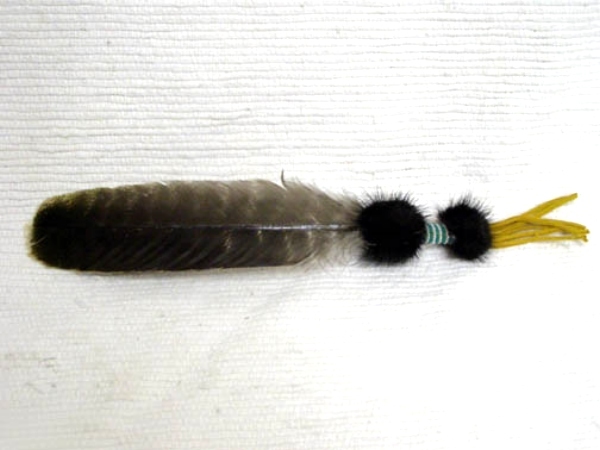 The Prayer Feather is handmade by Cherokee artist Wetfoot. 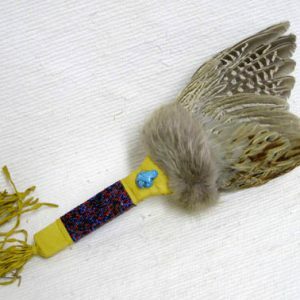 It has a beaded fringed handle unique to him and the sacred path he walks. 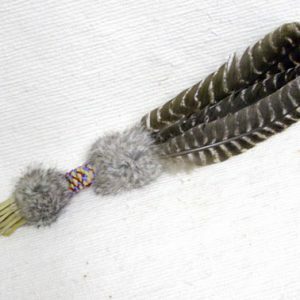 Prayer Feathers are commonly given as a gift to heal the heart. Just as ancient Americans used the feathers to send prayers to the heavens and draw healing power from the sky, and so with all sincerity we hope such healing goes with you with every footstep. 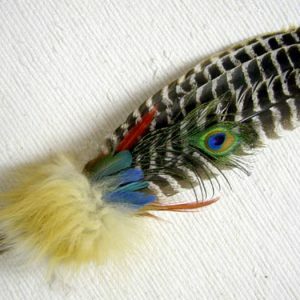 Feather, beads, Leather & fur may vary. This feather measures approx. 12″ in length.